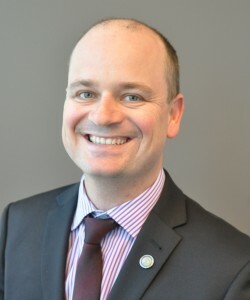 Chris Pettit, Strategic Implementation Co-ordinator for AURIN. 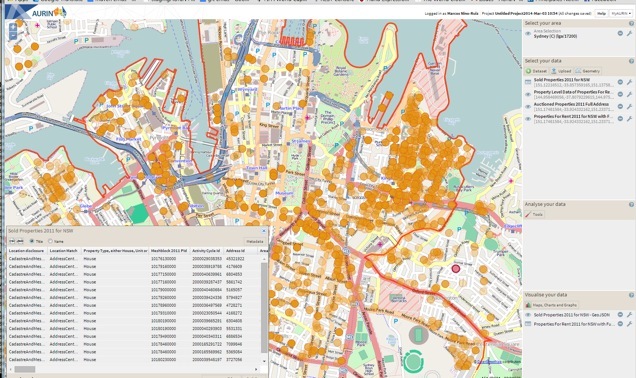 After four years spending $20 million of Commonwealth Super Science funding, the Australian Urban Research Infrastructure Network (AURIN) is now presenting a promising online ‘workbench’ for public sector researchers to test and simulate urban development challenges and solutions. AURIN’s system begins with a password-entré portal that allows Australian university and science researchers access to more than 1000 datasets from 32 data custodians (mainly government agencies, and including PSMA, the Commonwealth’s data processing and sales company). More than 80 spatial statistical routines are available on the workbench, which is similar to OpenGeoDa, an American open-source desktop for geo-analysis, visualisation, autocorrelation and modelling. GeoDa was invented by Professor Luc Anselin, now Director of the GeoDa Center at Arizona State University. An associate of Anselin’s centre, Professor Mike Goodchild, recently reviewed the AURIN system on a visit to Australia. A schematic explaining the AURIN online workbench system. Pettit emphasised that access to the AURIN workbench currently is limited to universities, NICTA, the CSIRO and government agencies, which are confined to non-commercial uses of the data. ‘It is a security-enabled space for collaboration … with secure data playgrounds supporting both domain-specific and interdisciplinary research. Data shopping is empowered by metadata … which brings to bear some labels for datasets that are more human-readable than the titles of the original data,’ he said. Pettit previewed the Envision tool for identifying land parcels suitable for infill developments in greyfield areas, and the Envision Scenario Planning (ESP) tool for evaluating precinct plans against a variety of amenity and environmental criteria and indicators. Both are being developed with the University of Melbourne-based Cooperative Research Centre for Spatial Information. 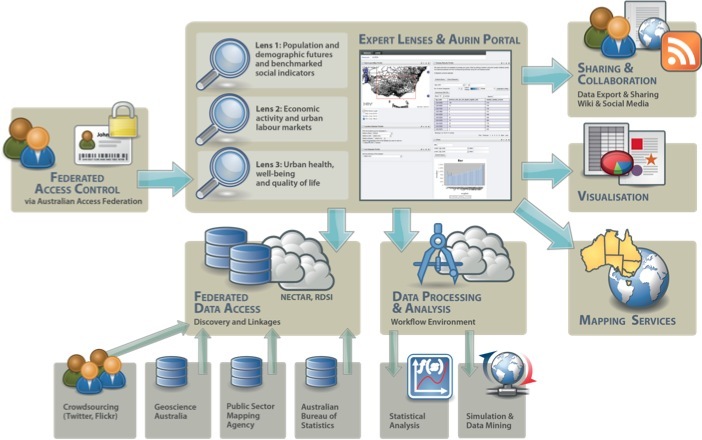 Simulation tools for walkability, employment clustering, housing affordability and health services accessibility were produced with the Australian National Data Service (ANDS). Also included is a ‘what if?’ planning support system based on work by Ohio planning scholar Richard Klosterman. This tool helps planners to assess greenfield development proposals by comparing what if? scenarios for land suitability, demand and allocation. Ten Australian ‘data hubs’ currently are aligned with AURIN – mostly universities but including PSMA and APM, a Fairfax media subsidiary which is contributing its massive Australian Property Monitors database of statistics related to housing sales. Leaders of AURIN have been seeking collaborations with key international geospatial urban research centres, including the University of Toronto’s Global Cities Institute (Global City Indicators Facility), which has developed new criteria for measuring the effectiveness of cities (incorporated as ISO37120 by the International Standards Organization). Another city indicators system has been developed by RMIT’s UN-affiliated Global Compact Cities group with the Metropolis World Association of Major Metropolises. AURIN visualisation of housing data for greater Melbourne. 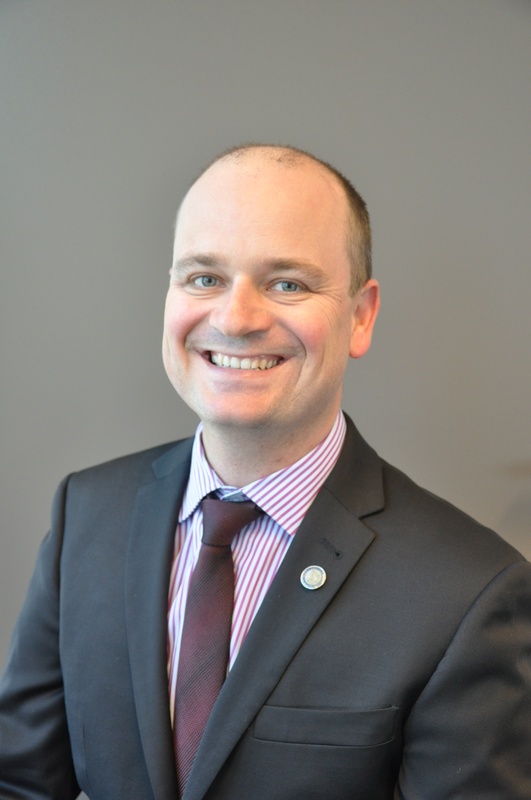 Pettit was speaking at this week’s architecture and urbanism workshop at Simulation Australia’s ‘Simtect 2014’ conference in Adelaide. Also presenting were four researchers showing data visualisation advances from the ETH-Zurich Future Cities Lab in Singapore. *AURIN’s latest $4 million is the first allocation of NCRIS funds to support the Rudd Government’s 2007 decision to introduce a ‘Sustainable Built Environments’ theme for its NCRIS Roadmap 2 project; following several hundred million dollars of NCRIS funding to 16 science and technology research priority areas in 2006.